Count sheep to help you sleep, or give them hugs and stay awake. Meet, Bahramewe. A lovely sheep that loves being a sheep and spending time with friends. Sew one up as a gift or to add to your own plush collection. 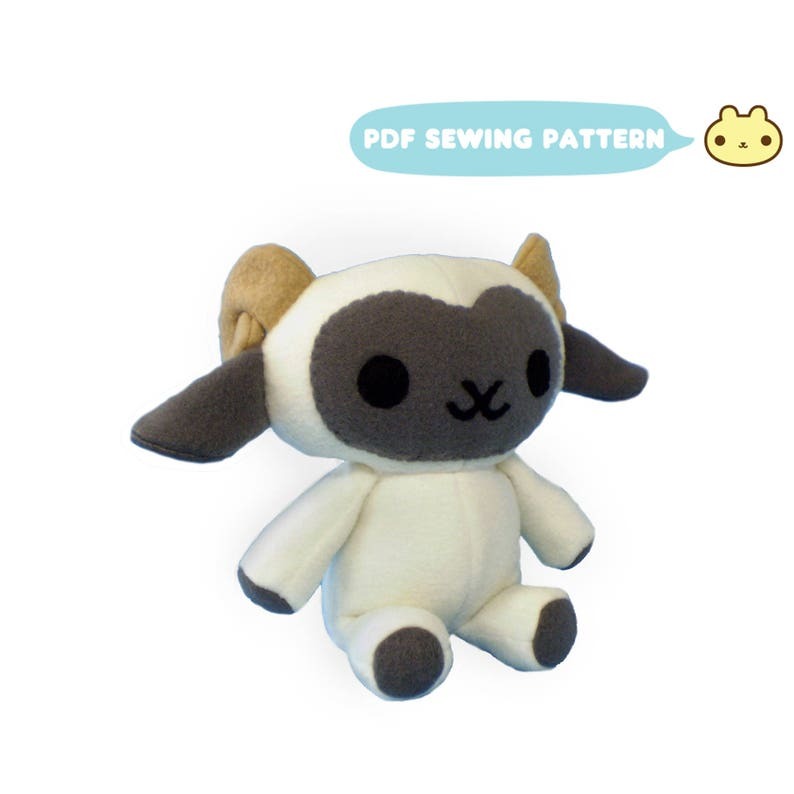 You can make your very own plush lamb with this ram sewing pattern! The photos were perfect to make the instructions straightforward and easy to follow. I had never really sewn much outside of a few repairs, so all the stitches were new to me, but the instructions at the bottom of the guide were very helpful in learning how to make my dragon correctly. He turned out amazing and now sits on my bed, a little overstuffed but looking adorable.